The awards are judged by an independent panel of judges who are representative of all areas of the industry by sector and by geography. Members of this panel choose to contribute on a voluntary basis and will remain entirely separate from the ownership structure of the awards. The panel is led by Sandy Hollway and Brenda LaPorte and new members are added regularly. Register for Updates so we can keep you up to date on new judging appointments. If you would like to offer your industry knowledge and experience as a member of the Industry Judging Panel, please contact us with a summary of your experience and the category that you would like to judge. If a vacancy exists that may be suitable then we will forward your information to the Co-Chairs of Judges for a decision. All members of the Panel must be approved by the Co-Chairs of Judges, who consider the skills, experience and balance of the Panel as a whole. Any decision to not accept an application is therefore not a reflection on the quality of the applicant. The integrity of the Industry Judging Panel is of paramount importance and, with this in mind, all Judges are required to abide by terms and conditions covering confidentiality, conflicts of interest and the conduct expected of Judges. The Industry Judging Panel is independent from the production and management of the Australian Event Awards. Members of The Epic Team, the management company appointed to project manage the Event Awards, may not hold a position on the Industry Judging Panel. For more information on the rules and governance, click here. 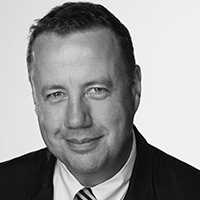 Since his role as CEO of the Sydney Organising Committee for the 2000 Olympic Games, Sandy Hollway has provided high level advice to other events around the world. These include the Beijing and London Olympics, the Asian Games, the Commonwealth Games, the Cricket World Cup and APEC. Prior to joining SOCOG in February 1997, Mr Hollway has been an Australian diplomat, Chief of Staff to Prime Minister Hawke, and Head of two Commonwealth Government Departments – Employment, Education, Training and Youth Affairs; and Industry, Science and Technology. He is a member of the Advisory Board for the centenary of Anzac. Mr Hollway is passionate about promoting the export of Australia’s world-class products and services in major events and sports and has led delegations of Australian companies pursuing business opportunities in this field. 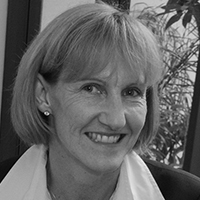 Brenda has most recently served as the General Manager – Strategy, Planning and Workforce for the ICC Cricket World Cup 2015 and is currently a Non-Executive Director on the board of Athletics Australia. She has extensive experience in the business of sport including the creation of Cricket Australia’s newest commercial property the Big Bash League. Prior to this her roles have included the position of General Manager – Project Planning, Risk and Strategy at the Commonwealth Games in 2006 and Senior Advisor to the Australian International Sporting Events Secretariat. Brenda holds a Bachelor of Business, a Masters of Business Administration & a Masters of Business. 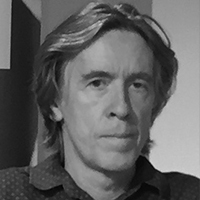 Simon is The Director of Ways and Means Consultancy Pty Ltd where he is a writer and consultant on events, bids, issues management, sustainability and Indigenous programs. 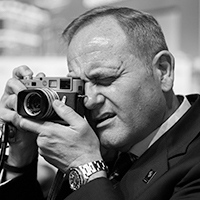 His career has seen him be a journalist; member of the successful Australian 1984 Everest Expedition; author; Prime Ministerial adviser; through to Board member and General Manager at SOCOG; as well as Adviser and Executive Editor/Writer for the successful Tokyo Bid for the 2020 Olympic Games. 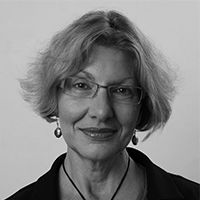 Jill Bennett is an Australian Research Council Laureate Fellow at the University of New South Wales (UNSW), where she is also Professor and Director of the National Institute for Experimental Arts, and Founding Director of The Big Anxiety – festival of arts + science + people. She is a writer, curator and immersive media producer, whose work includes arts-science collaborations, particularly at the intersection of psychology, technology and mental health. Her books, include Empathic Vision and Practical Aesthetics, as well as monographs on media arts, curating and its social impact. She has produced and curated many exhibitions and events, encompassing visual, media and performing arts, interactive workshops, talk forums and innovative discussion formats, and is especially interested in using the arts to enhance social engagement, health and wellbeing in communities. Her Research Lab at UNSW develops innovative methods for studying the human experience of ageing, mental health, marginalisation and stigma, using immersive environments and virtual reality to enable perspective sharing, and the cultivation of empathy. A long career in the event industry specializing in the organization and management of national and international business events, primarily in the association and incentive market, has equipped Liz well in her move into the education space. Her particular interest is in feasibility studies, strategic planning, the development of event concepts and design, marketing strategies, risk management and event sustainability. In the role of Advanced Skills Lecturer Liz is responsible for academic leadership, the work integrated learning program, development and maintenance of industry partnerships and event traineeships. The key focus of Liz’s teaching activities, in collaboration with students, is the development of feasibility of event concepts as a driver of change, brand recognition and income generation for the not-for-profit sector. The philosophy is to foster both critical and creative thinking and build a sense of social responsibility and awareness in the student cohort. Liz has completed a Master of Education and currently studying her Doctorate of Education. Acknowledgement of Liz’s contribution to the event industry includes: board representation for Meetings and Events Australia and the Perth Convention Bureau, Chair of Meetings and Events Australia (MEA, WA), and Vice-President of the Events Industry Association. 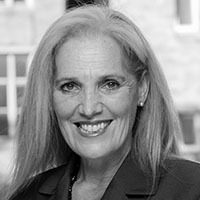 She is also a member of the Events Industry Advisory Group with FutureNow, the Western Australian Training Council for the Creative and Leisure Industries which are a collective of Arts and Culture; Tourism, Hospitality and Events; Information Communications Technology; Media; Printing; and Sport, Recreation and Racing. Graham Brown is Professor of Tourism in the School of Management at the University of South Australia – which was the first winner of the Education category at the Event Awards. He gained his PhD from Texas A & M University and has worked at universities in England, Canada and Australia. He is particularly interested in the relationship between events and destination management and was actively involved in the New South Wales government’s Tourism Olympic Forum prior to the Sydney 2000 Olympic Games. More recently, he has conducted studies at the Beijing 2008 and London 2012 Olympic Games, the FIFA 2014 World Cup in Brazil and the Tour Down Under in South Australia. He is in the process of writing a book about Eventscapes which discusses, with a series of case studies, the importance of design for environmental settings when staging events. Stacey Buckley is a Senior Event Manager with Encore Event Technologies and has 20 years experience in the event production and AV industry. During her career, she has been involved in the design and production of thousands of events and worked for numerous high profile national and international clients. Stacey has built a strong reputation for event production management within the Queensland events community and has developed many key business relationships during her career. She is widely recognised for her holistic approach to event production including design, creative, technical and digital solutions. Stacey also volunteers her time to a working group providing strategic advice to the Sunshine Coast Events Board and reviewing opportunities that support the region’s investment in major events. 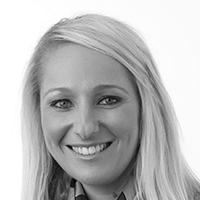 Heath is a communications expert with a diverse background of marketing roles, both in Australia and in the UK. Beginning his career in Account Service, then Planning and finally Creative, Heath became one of Australia’s youngest Creative Directors at just 28, and the General Manager of Imagination at 30. Since then he has led projects across major events, experiential, direct, digital, advertising, sponsorship and internal culture change projects. 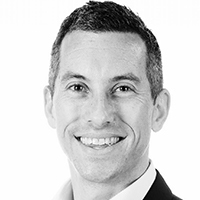 Heath has been with Imagination for 14 years and is a Director of the Australian business, helping to grow the team into one of Australia’s most respected integrated agencies, with over 80 staff in Sydney and Melbourne. Heath has worked with a range of clients across most segments, including the City of Sydney, the Royal Australian Navy, Commonwealth Bank, Ford, Telstra, Coca-Cola, Budweiser, Diageo, AMP, American Express & Panasonic just to name a few. Heath is currently the Director for the Imagination Creative Team working with the City of Sydney on 2011-18 Sydney New Year’s Eve events, as well as being the Project Director for the Royal Australian Navy’s International Fleet Review Spectacular and the the Centenary of Anzac Touring Exhibition, the flagship project for the WW1 Centenary commemoration. David Churches was owner/director of Major Event Planning, a consultancy service that provided strategic and technical advice to bid and organising committees, and to government authorities. He has worked on international events in Australia, Europe & Asia, and has had long-term advisory roles with a number of public and private-sector organisations. Mr. Churches was involved with the Sydney 2000 Olympic and Paralympic Games from the initial bid in 1988 and the successful bid in 1993 through to the completion of the Games. He had key roles in developing the initial concept for staging the Games, developing the Environmental Guidelines for the Games, and developing the concept for city festivities. 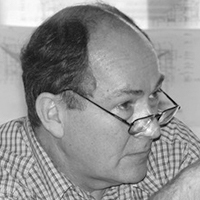 His original professional qualification was as an architect and urban designer. He was project director for a number of major cultural and tourism projects in Sydney and NSW. Many of these projects were the recipient of awards from the Australian Institute of Architects. He was awarded the Golden Olympic Rings by the IOC in October 2000, and a Lifetime Achievement Award at the Australian Event Awards in October 2010. Since his retirement he is an active volunteer in a range of community environmental projects. Vickii Cotter is the managing director of Visabel, a full-service festival and event project management consultancy company. With over 15 years of festival and event experience at an executive level, Vickii has produced and delivered large scale events including Floriade, Enlighten Festival, Canberra Writers Festival, Noosa Jazz Festival, Gympie Music Muster, Bluesfest Byron Bay, Vivid Sydney and Breakfast on the Bridge. Vickii has high-level industry experience, legal expertise, strategic understanding and passion. Her expertise in executive-level festival and event management is based on a thorough understanding of all aspects of strategic event design and delivery including programming, site design, venue negotiations, production management, financial and risk management and marketing. Vickii’s stakeholder relations and management skills have been refined during more than a decade of working with stakeholders including Boards, artists, community groups, suppliers, government and industry bodies. Through Visabel, Vickii is an events and tourism consultant to government and the private sector and is renowned in the industry as a specialist in start-up events and events which require large-scale impact or rebranding/refocusing. Planning, managing and leading teams of staff, volunteers and contractors. Vickii holds Bachelor of Contemporary Music, a Bachelor of Laws with Honours, GDLP and has been admitted as a solicitor of the ACT and NSW Supreme Courts. Prior to her work in the festival and events industry, Vickii practised as a solicitor in commercial aspects of business and intellectual property with a particular focus on copyright, trade mark and entertainment law. An active supporter of live music, events and festivals, Vickii continues to manage and advise an array of young musicians and is a composer in her own right having produced her own original album. Vickii has written on the topic of intellectual property law for ART+Law Journal, and has lectured at the University of Queensland and JMC Academy on Tourism and Events Management, Marketing and Sponsorship, International Marketing, Music Business, Copyright and Legal Studies. Scott is a communications and events specialist with over 23 years’ experience. He is the Director of the communications agency Platform6, which he established in 2015. Platform6 clients come from both the public and private sectors, specialising in event and government communications. Scott has worked on some of the world’s biggest sporting and cultural events including the Sydney Olympic and Paralympic Games, the Manchester Commonwealth Games, the Asian Games and four Rugby World Cups. He has consulted extensively to the New South Wales Government on the delivery, government coordination and issues management for many of the state’s major events including New Year’s Eve celebrations, Sydney Festival First Night, APEC and the Oprah Winfrey visit. He has worked directly on numerous events including the Sydney Harbour Bridge 75th Anniversary celebrations, Anzac Day commemorations, Sydney Gay and Lesbian Mardi Gras and Gough Whitlam Memorial Service in Sydney. Scott has also held positions as Communications Manager for both the Football Federation Australia and the Darling Harbour Authority, Media Adviser for the Sydney Olympic Games and as the Marketing and Communications Manager for the International Olympic Committee based in Lausanne, Switzerland. 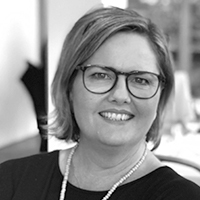 Kathryn Creech is the Head of Events for Harcourts International and has over 20 years of event planning experience in corporate conferences, sports and not for profit. Kathryn manages an international events team including Australia, New Zealand, South Africa, USA and Indonesia. Her role is to work within the Executive Leadership, HOD Team, and Country CEO’s to plan, develop, manage and review the events in the Harcourts events global calendar each year. Harcourts International Ltd is the fastest growing Real Estate group in Australasia and the largest in New Zealand with over 780 offices internationally. Harcourts International Ltd is made up of Harcourts in New Zealand, Queensland, New South Wales, Western Australia, Victoria, South Australia, Tasmania, Fiji, Indonesia, Singapore, China, South Africa, Canada, UAE and the United States of America. Head office is based out of Brisbane, Australia. Roger Desailly is currently the Manager, Education and Training (State-wide) for the Queensland Agricultural Training Colleges. Holding a Bachelor of Education, an Executive Certificate in Event Management from the University of Technology Sydney, a Major Event Management Professional Development Award from the University of Sydney and the University of Technology Sydney Executive Management Program, and part way through an MBA, he has a wealth of experience in the events industry. Past roles include Queensland Manager, Campuses and Operations with the Australian Institute of Management, Director of event management consulting company, TrueNorth Event + Project Management, CEO of “Beef Week 2012” Australia’s International Beef Industry Expo and Trade Show, Stadium and Events Manager (Townsville) for the 2003 Rugby World Cup, CEO of Events Cairns and Festival Cairns, Event Director for the Virgin Blue Airlines Corporate Launch in Brisbane in 2001, Human Resources Manager for the 1996 World Junior Championships in Athletics, General Manager of the Australian University Games and Board Member of Capricorn Tourism (Central Queensland) Major Events Taskforce. Roger has also lectured in event management and marketing in both the VET and University sectors over a number of years, sits on a number of event industry, business and education sector boards and committees and is currently working with the agribusiness industry in Queensland on the design, development, piloting and roll out of a new agricultural and rural industries events management short course, aimed at enhancing the level of knowledge and skills of paid and volunteer staff working in this niche, but expanding, events industry sector. Wayne has been organising events for the past 37 years. He is the Director of his own company, Inspired Funding Solutions, which helps event organisers by raising funds through sponsorship and grants. 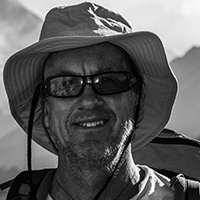 Wayne’s most recent events include Science meets Business and Science meets Parliament events in Sydney and Canberra for Science & Technology Australia and organising the fundraising elements of the inaugural Q1 Sea to Sky Stairclimb Challenge on the Gold Coast. Wayne’s interest in events extends to festivals where he has held the positions of Chairman of the Werribee Weerama Festival in Victoria and Chairman of the Tuggeranong Community Festival in the ACT. Wayne’s event organisation has been recognised with awards from the Fundraising Institute of Australia at national and state level and in 2005, had Board responsibility for the National Awards Portfolio. He has been fortunate to receive awards from then Governor-General Major General Michael Jeffery in 2005 and then Governor-General Dame Quentin Bryce in 2009 for contributions to the Snowy Hydro SouthCare Helicopter Service. Sebastian Flynn is currently Senior Manager – Major Events with MDA Ltd (Multicultural Development Australia) based in Brisbane (appointed May 2013), delivering major annual events: MOSAIC Multicultural Festival and LUMINOUS Lantern Parade, as well as a myriad of program launches and MDA regional events in Rockhampton and Toowoomba. Sebastian was formerly Managing Director of the National Folk Festival, Canberra – delivering four successful events from 2010-2013, winning the Canberra and Capital Region Tourism Award for Best Festival Event in 2011 and 2012, a Public Relations Institute of Australia (PRIA) Award for the 2012 festival media as well as a coveted Canberra Critics Circle Award for his programming and theming of ‘For the Fallen’ presented in collaboration with the Australian War Memorial for ANZAC Day 2011. Sebastian also designed and delivered the ‘Back to the Island’ music program for Robyn Archer and her team for the Centenary of Canberra celebrations attended by 140,000 people on the shores of Lake Burley Griffin, Canberra in March 2013. Sebastian was Director of the Queensland Multicultural Festival from 2006-2009 – delivering four highly successful events on behalf of Queensland Government, with an audience of up to 65,000 people. He was also responsible for the Premier’s Multicultural Photographic Awards, Queensland Multicultural Awards, Diversity Rocks Education program, Diversity Writes Literary Event and Diversity Talks on ABC Radio. Formerly Programming and Production Coordinator for BEMAC (Brisbane Multicultural Arts Centre) from 2001-2005, Sebastian delivered many successful culturally diverse music performances at the Queensland Performing Arts Centre, whilst garnering a broad knowledge and passion for ethnic music and cultural traditions from all over the world. Sebastian has served as a judging panel member for the highly-coveted national Australian Event Awards for the past four years. Sebastian is founder and member of the Ensemble Diaspora in Brisbane, a 10-piece World music ensemble – playing festivals and major occasions since 2013, including performing for the international G20 Summit gathering in Brisbane in 2014. He is also a regular performer, presenter and MC at the world-renowned Woodford Folk Festival in Queensland, Australia. A classically trained violinist and folk fiddle player, Sebastian is also Chair of Subud International Cultural Association (SICA), which works to nurture human values through art, culture and creativity and presents cultural programs throughout the world. Sebastian is the designer of the ‘Culture Compass’ – an educational and re-orientational tool for anyone looking to re-evaluate their life experience and shape their creative approach. It also serves as a cultural cameo educational tool for young people looking to get a concise overview of diverse cultures and a clearer view of their own creative direction in life. The program was originally piloted with MDA (Multicultural Development Australia) for the benefit of refugee communities in Rockhampton, Queensland, Australia. Mandy Foley has been in the hospitality industry for over 32 years. In 1986, Mandy established Stedmans as a one-stop shop assuming all responsibility for staff, superannuation and payroll for hospitality personnel on behalf of its clients. It revolutionised the hospitality industry and immediately established itself as Sydney’s premium supplier of highly skilled and talented industry staff. Mandy is a trailblazer in her industry, and was invited to manage the IOC Headquarters for the 2004 Athens Olympics, the 2006 Torino Winter Olympics and 2008 Beijing Olympics. In 2009, she was recognised as the winner of Veuve Clicquot Business Woman Award. Her commitment to training, hands-on dedication to quality, and adaptability have ensured that Stedmans remains Sydney’s first choice for premier hospitality events, venues, caterers, corporate and private clients. The business continues to evolve: Stedmans Promotions was set up to provide high calibre promotional staff for events; Stedmans at Palm Beach was launched as a luxury concierge service for holidaymakers, and in 2012, the Stedmans Concierge division was established to meet demand created by the new luxury apartments being built around Australia. Mandy and Stedmans support many charitable committees including the Sydney Theatre Company Foundation, the Taronga Zoo Foundation, the Centennial Parklands Foundation, The Sydney Children’s Hospital Foundation and the Royal Women’s Hospital Foundation. She has been a judge for the Veuve Clicquot New Generation Award since 2014. 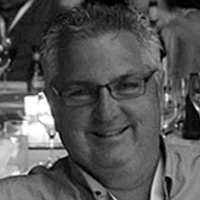 Steve is a leading expert in the creation of insight-led experiential marketing campaigns. 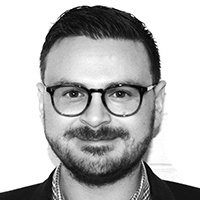 He’s tasked with leading brand experience campaigns at Red Agency and across Havas Australia. Prior to joining Red/Havas, Steve was the CEO of experiential marketing agency, Chieftain Communications – a company he founded and led for eight years. The agency was acquired in 2014. 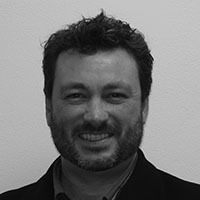 Steve’s resume includes leading the Australian office of Making Waves, as well as building DDB’s experiential marketing and events division, which grew significantly under his leadership. His ongoing passion is to create campaigns that drive consumer engagement through memorable and authentic brand experiences. 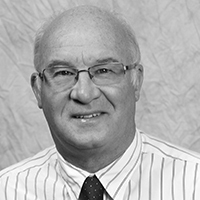 Steve frequently speaks at government and industry events and has been a judge at numerous industry awards. Steve has created campaigns for leading brands, including Tigerair, Carnival Cruise Lines, Singapore Tourism Board, Hilton, Tourism Whitsundays, Nestle, Telstra, Samsung, UBank, RACV, Coca-Cola, Sony, eBay, Real Insurance and Microsoft, to name a few. 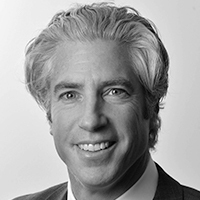 Ashely co-founded Carillon Conference Management (CCM) with his brother and business partner, Jonathan, in 1985, after holding executive positions with Southern Pacific Hotel Corporation and Lend Lease Leisure. CCM is now a long established professional conference management company based in Brisbane with representatives and alliances in key markets around the world. Ashley has personally directed many of the 650 major conferences and events managed by CCM for a broad range of clients, from the association, corporate and government sectors. CCM was presented with the CIM Magazine Best Meeting or Conference Award at the Australian Events Awards in 2013 for managing the largest and most complex scientific congress ever held in Queensland, the 34th International Geological Congress (IGC). IGC was attended by 6012 delegates from 137 countries and featured 3240 guest speakers. No stranger to international business, Ashley has led numerous industry trade missions and promotional delegations, most notably into Asia, Latin America and Europe. Ashley brings top-level seniority to conferences and skills in negotiation, diplomacy and international relations. 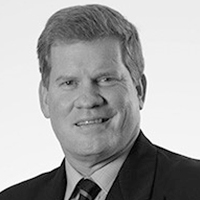 Mr Harnden has wide ranging NED and Executive experience in large complex multi stakeholder businesses in the sport, events, entertainment, media and tourism sectors, together with the capital projects that often accompany them. He is the Chairman of the Australian Grand Prix Corporation and is also a Director of Cricket Australia and World Twenty20 2020 Ltd and consults providing strategic advice across the above industries. He has led some of the world’s largest sporting events and tourism properties through his roles as Chief Executive Officer of the ICC Cricket World Cup 2015, the South Australian Cricket Association, Village Roadshow International Theme Parks, the Melbourne 2006 Commonwealth Games Corporation and the Australian Grand Prix Corporation. 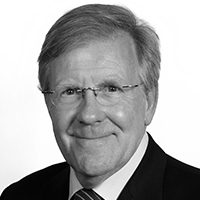 Mr Harnden has served on a number of boards in these areas and also been involved in a range of engineering projects, including the management and design of Stadia and Formula One Grand Prix Circuits around the world. Originally from Adelaide, Mr Harnden was awarded the Member of the Order of Australia for his services to sport in the staging of the Melbourne 2006 Commonwealth Games. Bill is a graduate of the University of Melbourne (Commerce) and the National Institute of Dramatic Art (Technical Production). Following a period as resident Production Manager at Belvoir Street Theatre, Bill took on the Production Management role for the Sydney 2000 Olympic and Paralympic Arts Festivals. 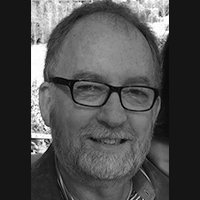 As Production Director for the 2002 Adelaide Festival of Arts, Bill’s role incorporated the creation and development of new Australian and international productions, together with the inclusion of several community based projects. 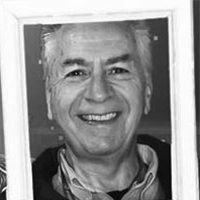 In mid 2002, Bill returned to NIDA as Head of the Production course, fulfilling a desire and commitment to the training of young people in the Arts. As Head of Programming at Sydney Festival from 2007-2012, Bill was instrumental in the sourcing and delivery of major Festival works and produced events such as Festival First Night, Movers and Shakers dance series, Smoke and Mirrors, Dawn Chorus and Trocadero Dance Palace. Following Sydney Festival, Bill was appointed Executive Producer for Global Creatures, where he was responsible for leading the Producing and Production teams in the delivery and management of the world premiere season of the stage musical, King Kong. Following Kong, Bill has worked on a contract basis for companies and events including: Erth Visual & Physical, Carriageworks, City Recital Hall, Adelaide Festival, Live Performance Australia and is currently acting Program Director with the Barangaroo Delivery Authority. Dr Rob Harris is a former Director of the Australian Centre for Event Management, at the University of Technology Sydney where he also co-ordinated the Master of Management (Event Management). After leaving UTS in 2017 he established Event Training Australia which delivers event management education and training programs in Australia, Southeast Asia and the Middle East. 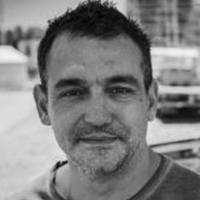 Rob is a co-author of the texts Festival and Special Event Management and Event Management. 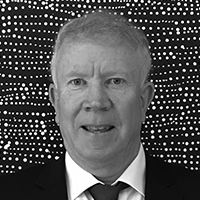 He has acted as a consultant for a variety of organisations associated with the events field including Arts ACT, Events Tasmania, Events NSW and the Sydney Olympic Park Authority. 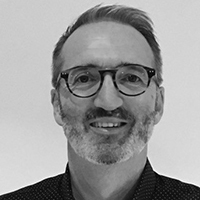 Rob was a foundation director of the Festivals and Events Association of Australia, and presently serves on the editorial boards of the academic journals Event Management and the International Journal of Event and Festival Management. Craig Hassall has worked in the performing arts for over 28 years and has recently been appointed CEO of the Royal Albert Hall. Prior to this, he was the Chief Executive of Opera Australia, the national opera company. Prior to Opera Australia, he worked in London for almost nine years, firstly as CEO of English National Ballet, the national touring ballet company of the UK. Following this, Craig was Chief Operating Officer of Raymond Gubbay Ltd, responsible for new business and collaborative ventures in the commercial field of classical music, opera and ballet. He also consulted on cultural aspects of the London 2012 Olympic Games. Craig was awarded an AM of the Order of Australia for services to the arts in the Australia Day Honours 2016. He has served on many boards and is currently on the board of C4RD—Centre for Recent Drawing, London and LIFT, the London International Festival of Theatre. Juliet has more than 30 years’ experience in the event, hospitality and tourism sectors, in Australia and internationally. 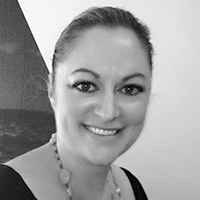 With a background in management roles with Accor and Dockside group, Juliet runs EventED, a venue marketing and training consultancy and has worked with a diverse range of clients including World Youth Day, Bob Wood Travel Group, Hard Rock Café, the American Club Sydney and Outrigger on the Lagoon Fiji & for 15 years as Global MICE Sales Manager for Outrigger Resorts. With more than 17 years lecturing and training experience in the event, hospitality and tourism sectors, Juliet is currently the Event Management & International Tourism schools Academic Program Coordinator at the International College of Management Sydney. She is also a senior lecturer in the fields of Event Operations and Logistics, Exhibition Management and Convention & Meetings Management as well as Tourist Attraction & Resort Operations. 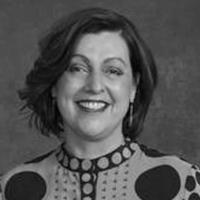 Cathy James is an event industry leader with an extensive portfolio of achievements delivering world-class events within the arts and music scene across Australia. 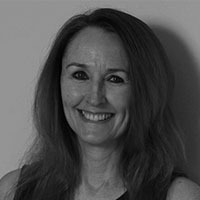 With 25 years of event experience, Cathy has worked on conferences, exhibitions, gala dinners and the biggest music festivals in Australia. Her career highlight so far was as General Manager of the Falls Music and Arts Festival, a multi-day event which attracts 70,000+ people to Byron Bay, Lorne, Tasmania and Fremantle. Cathy was a key part of the management team for Splendour in the Grass for 17 years and worked on most of the major popular music festivals in Queensland, New South Wales, Victoria and South Australia in the past 20 years. Cathy was the Entertainment Manager at the Royal National Association (Ekka) for seven years and has toured with Australia’s biggest bands, taking rock’n’roll shows to arenas and greenfield sites in capital cities and regional towns around the country. Cathy is based in Brisbane and is currently focussed on content creation; curating the Speaker Series for Brisbane Open House. Cathy is excited about the direction that events are heading and developing and encouraging new event management talent. She leads industry projects and mentors Event Management students within the Business Faculty at Queensland University. 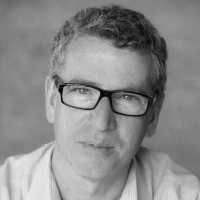 Stuart Katzen is the owner and director of Eventify, a boutique events and incentive agency based in Sydney. Stuart began his career as an actor and director in New York and has since worked around Australia and Overseas. Stuart has designed and delivered hundreds of events over the last 20 years, from simple dinners to complex international events. Stuart is not only an accomplished and experienced event producer and designer, but also a film and theatre director. As a story teller, Stuart has an ability to use his skills form film and theatre to deliver his clients message in way that engages and delights audiences and keeps them coming back for more. Stuart has worked with a host of clients and designed and produced events for the likes of Michelle Bridges, the Law Society of NSW, Mad Mex, CBA, Smirnoff, Epson and Theiss John Holland, just to name a few. Stuart also speaks on events nationally and internationally and writes a quarterly column on events for Micenet magazine. Michelle Kennedy is a creative individual who thrives on challenges having worked in the Government Events and Communications sector for over 15 years in both Queensland and New South Wales. 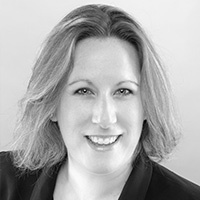 Michelle’s expertise is in the development and implementation of major behavioural change campaigns with an event component, large scale community engagement, event risk management, sponsorship, and event and campaign logistics. Michelle has developed a variety of new events for both local and state government to address community issues such as childhood obesity, youth engagement, racism, multiculturalism and domestic violence. As project manager of the Queensland Government’s largest community engagement event and largest volunteer program, the Queensland Multicultural Festival (now Queensland Multicultural Month) and Roma Street Parkland Volunteer Program, she has proven event and human resource leadership. As a former guest lecturer at the University of Queensland in Event Logistics and Risk Management, Michelle enjoys developing new event managers and graduates having implemented programs in New South Wales and Queensland ensuring event graduate opportunities. Her ethical commitment to leadership in the event management, community engagement, sponsorship, communications and public relations industries sees her continually strive toward the goals and objectives of the organisation as well as the client. Darren is an international award winning business communication professional who has been actively engaged as an Agency Head, Executive Producer, Show Caller/Director, International Projects Director, Experiential Marketer, and Creative Strategist in the creative design and delivery of innovative and engaging live communication programs, strategic marketing, authentic brand experiences & integrated digital solutions for a broad range of clients. Based in London, schooled in Brisbane, skilled in Sydney, and matured in Hong Kong – Darren delivers creative event experiences throughout the world for a curated portfolio of corporate clients and white-glove services on behalf of agency partners. Notable projects have recently included the Wall Street Journal CEO Summit Tokyo, Huawei product launches in Berlin, Nice and Barcelona, 65th Miss Universe After Party, launch of the Okada integrated resort, eight successive years producing the President’s Club incentive series for EMC throughout Asia, and the APEC CEO Summit with over twenty heads of state in attendance including President Obama and President Xi Jingping. Prior to basing himself in Asia, he designed and produced Australia’s largest corporate incentive series for Amway China with over 14,000 first-time guests at three iconic Sydney locations. Producing impactful live event experiences that integrate the live and the digital experiences, he is highly regarded for drawing on his great depth of business theatre fundamentals, strategic marketing expertise, targeted program design creation, eclectic styling senses, creative storytelling – to achieve powerful results. His work has been recognised with a number of international awards including Best Event Production, Best Social Event over USD75k, finalist in the Best Export category at the 2010 Australian Event Awards, and in 2013 won the ‘Markies’ agency of the year award. Cameron Little is a sustainability consultant and educator who provides policy, system and program development, training and staff coaching for organisations seeking to achieve their sustainability objectives. He has over two decades experience within the fields of environment, sustainability and corporate social responsibility. Through Event Sustainability Services, a specialist event sustainability consulting and service provider, Cameron provides sustainable event reviews, systems, action plan development. At-event services include food waste composting and waste minimisation, energy efficiency and preferred product procurement support. Cameron teaches Environmental Auditing for University of New South Wales and Sustainable Event Management for several universities and colleges and provided technical advice in Sustainable Events and ISO 20121 for Bureau Veritas. He is currently establishing Sydney Sustainability Centre to support business and the community on their sustainability journey. Andy Lopez started Out There Productions in 1996. The business group includes event agency OTP Australia, and OTP Major Events, the promoter arm. Andy has a serious passion for major public celebrations – he loves delivering events with a purpose, and the bigger the crowd the better. The OTP group’s events are enjoyed by hundreds of thousands of Australians every year. Andy is also a co-owner of the Summernats Car Festival, buying this iconic event in 2009. The Summernats has grown from from 75,000 punters to a record 119,000, and is now worth $25m to the ACT economy. The motoring lifestyle arm of OTP now includes MotorEx, Australia’s leading automotive industry consumer experience, and the Red CentreNATS, a destination tourism event in Alice Springs that averages around $10million to the NT economy. 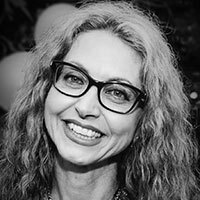 Paula is the Managing Director of Embrace Society which is a communications agency specialising in hard to reach audiences including CALD, Indigenous, women, youth, LGBTI, aged and disabled. Embrace Society is an acknowledged leader in values based behaviour change, community engagement, advertising and communications, and creative strategy and development. Paula is a highly experienced and award winning strategist and communicator with a career spanning almost 35 years. She has held a number of senior positions including Director of SBS Radio. Paula has extensive experience in developing highly successful communication strategies and broad experience in running social issues and community engagement campaigns in a diverse range of areas. Paula has had numerous appointments to ministerial advisory bodies and sat on many boards including sitting on the Radio Advisory Group of the Australian Film, Television and Radio School, Chair of Sydney’s Carnivale Multicultural Arts Festival and served for six years as a Community Relations Commissioner in NSW. She was on the National Women’s Advisory Council and shaped multicultural TV broadcasting as a member of the Ethnic Television Review Panel. Paula has been a Breast Cancer Network of Australia Media Ambassador and participated in the Field of Dreams. 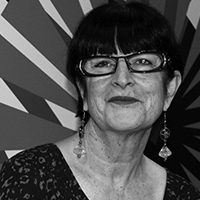 Paula presently chairs Waverley Council’s Public Art Committee and the Knowledge and Innovation Hub Committee which includes overseeing the renovation of the heritage listed Boot Factory as the centre of innovation. Abbie is Executive Producer at DG global and a previous winner of Event Producer of the Year at the Australian Event Awards 2016. With a background in exclusive International VIP events, Special Event Production and brand activations, Abbie’s ability to develop and deliver an incredibly unique and seamless event is second to none. An events specialist with more than 15 years experience, she has honed her skills across an extensive range of events both within Australia and Internationally. Abbie is passionate about creating engaging live experiences for brands that wish to communicate to audiences in a creative way. Her ability to develop creative ideas along with skills in managing the multi-faceted production and logistical elements of large-scale events make her a well-rounded and highly skilled events professional. Abbie has spent time living in China as well as the East Coast of Australia and now has a base in wonderful Western Australia with her husband, two small children, and an incredibly busy events calendar! 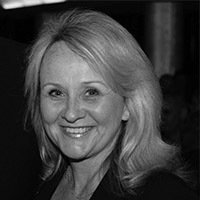 Julie McGraw is the Managing Director of GEMS Event Management Australia. With over 25 years’ experience in the events industry, including the management of more than 150 conferences and special events, Julie was awarded National Meetings Manager of the Year for 2015 and 2016 by Meetings and Events Australia. She has an Executive Certificate in Event Management (with Distinction) from the University of Technology Sydney and holds various professional accreditations in event management in Australia. With a career that began in the hospitality industry, Julie has worked for organisations such as Qantas, Sheraton Asia/Pacific and Ritz Carlton as well as consulting for a range of hotel chains. She has lectured in hotel management at both William Blue Hotel Management School and Macleay College and presented at the Professional Conference Organisers’ National Conference in 2008. Geoff joined the then Echo Entertainment Group (now The Star Entertainment Group) in March 2013. As Executive General Manager Brand and Corporate Affairs his responsibilities include managing The Star’s brand strategy, Tourism agenda, media and corporate communications, partnerships, and stakeholder and government relations. 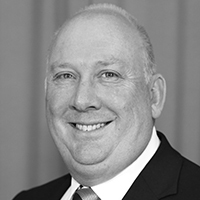 Geoff has more than 20 years executive and general management experience, also including commercial, sales, media, communications and operations – in Australia and internationally. From 2007-2011, this was as Chief Executive of Events NSW Pty Ltd, a state government-owned company, responsible for developing the first structured annual events calendar for Sydney and New South Wales, establishing new exclusive events such as the Vivid Sydney festival and Opera on Sydney Harbour. He also served as a director of Business Events Sydney during that time. 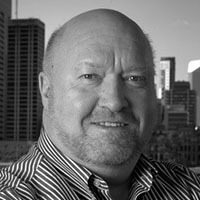 For the 12 months prior to joining The Star Entertainment Group, Geoff ran his own successful consultancy business, working for clients including the Istanbul 2020 Olympic Bid Organisation, the New South Wales Government (on venues, events and commercial strategy projects, including negotiations for the ICC Cricket World Cup 2015), and the Dubai Government (on events and destination management strategy). 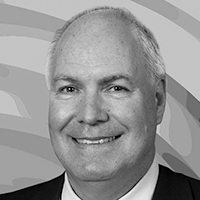 Mark Peters served as Chief Executive Officer of the Gold Coast 2018 Commonwealth Games Corporation, a position he accepted after heading the Gold Coast 2018 Commonwealth Games Bid Company. His senior sporting administration roles include almost ten years as CEO of the Australian Sports Commission; President of the Australian Baseball Federation; and Executive member of International Baseball Federation. Mark has long advocated for increased sport and physical fitness programs in schools and championed Australia’s profile on the international sporting stage, as a competitive nation and host destination for major sporting events. His extensive portfolio of leadership and management experience covers tourism, events and sports organisational governance and structure. Liz Rivers has extensive experience in the business events sector and is Managing Director of Awards Absolute, a pioneering awards management company. As a former science and medical journalist with marketing qualifications, she launched a media, marketing and events business with a science, academic and medical focus in Sydney in 1994. When a client asked her to create a staff awards program 20 years ago she set off down the path of researching what makes awards, rewards and incentives successful. Liz moved the company to the Sunshine Coast 15 years ago and then established Queensland Signature Events – a business which delivers stunning off-site revelries, conference dinners and product launches in unique and iconic Queensland locations. 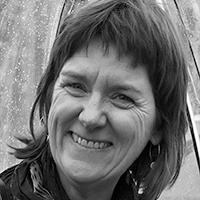 Karen is the General Manager of Griffin Theatre Company and has enjoyed leading this unique new Australian writing theatre organization since 2014. Prior to this role Karen was with the Seymour Centre at the University of Sydney in the role of Producer/Programmer (2012 – 2014). Karen was the General Manager for the dance theatre company Force Majeure from 2005 to 2012. In this role Karen created, produced and toured new Australian work both nationally and internationally. Previous positions include Associate Producer for Performing Lines (2001- 2004) and Special Projects Manager for the Olympic Arts Festivals (1997 – 2000). 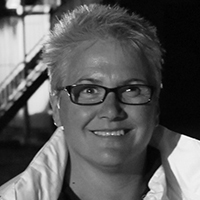 Karen is a graduate from the NIDA Production Course and between 1990 and 1997 worked as a freelance Stage Manager on numerous productions for companies such as Company B, Sydney Theatre Company, State Theatre Company of South Australia and The Bell Shakespeare Company. Sharyn Sawyer has held senior marketing, communications, sponsorship, and events management positions for renowned brands across state, national and international territories including Qantas, Channel 10, Flight Centre, Accor Hotels & Resorts, and Brisbane Turf Club. Sharyn spent almost a decade with Queensland Events Corporation, overseeing corporate communications for the state’s major events agency, which sat within the portfolio of the Premier and had an annual investment in some 20 national and international events, and in 100+ festivals and events under the Queensland Events Regional Development Program. In 2007, she was seconded to head marketing for the new Asia Pacific Screen Awards Ltd (APSA), now in their 12th year. During this time, the initiative partnered with CNN International, FIAPF-International Federation of Film Producers Associations, UNESCO and the Motion Picture Association. In addition to the annual awards ceremony, APSA produced a filmmakers’ documentary series broadcast across 200+ countries on CNN. In 2008, APSA took out a national award for multicultural marketing and in 2009, APSA was named winner of the first award at the inaugural Australian Event Awards (Best Marketing Campaign). Recent projects include management contracts with the Department of Transport and Main Roads including establishing the TransLink Centre for Service Excellence, and delivery of the Asia Pacific Cycle Congress 2015, and with Royal Children’s Hospital Foundation, ahead of a major rebrand and move to the new Lady Cilento Children’s Hospital. Sharyn currently heads marketing and events for UQ Sport Ltd, which operates the state’s largest multisport complex, located at the University of Queensland in Brisbane. Noel Staunton is a creative director and producer with a breadth of experience across productions and special events in the arts sector. As Artistic Director of the Brisbane Festival between 2010 and 2014, his festivals were described as “a series of grand adventures”. He instigated major changes to the running and wider perception of the festival, which resulted in a three-fold increase in ticket sales. 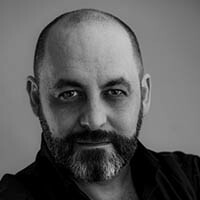 Previous to his time at the Brisbane Festival, he held various roles both in Australia and internationally, including as Opera Technical Director at the English National Opera, Technical Director at Opera Australia and CEO of Sydney Dance Company. In 1999, he founded Bazmark Live with acclaimed Australian director Baz Luhrmann, going on to be the Executive Producer on a range of live theatrical events which were staged all around the world, including in Cannes, London, Sydney and on Broadway. 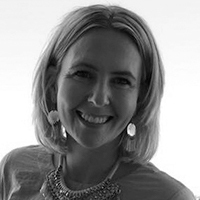 Simone is a well-accomplished event, project, sponsorship and marketing professional with over 20 years’ experience in creating and delivering memorable experiences that strengthen brands and provide innovative business solutions. Simone started her career in the events industry where she spent over 7 years in various roles including event design and production, account management and business development. 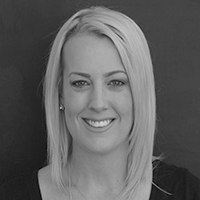 In 2004, Simone began her tenure at Suncorp in the Brand and Sponsorships team, where she has since developed a strong network of connections with commercial & community partners, creative and activation agencies, digital media and broadcast partners. Simone has managed some of the group’s largest sponsorships including Bridge to Brisbane, Australian Rugby Union, Brisbane International, Qld Rugby League, Suncorp Stadium and Youngcare. Simone‘s role as Customer Engagement & Sponsorship Manager has seen her lead teams of specialists to develop and deploy brand activation programs that have included small and large scale events, national marketing campaigns & social media strategies. Simone currently works on AAMI’s customer reward and recognition program, AAMI Lucky Club, managing partnerships and building strategies to deliver elevated and enhanced experiences for customers at high profile events like A Day on the Green and Victoria Melbourne Cup Carnival. Simone is a dynamic, passionate, commercially astute and highly adaptable leader who consistently delivers to a high standard and enjoys challenging the status quo. Mark is the Creative Director of Concept Event Management and has been producing major events for almost 30 years. Known for his skill as a live event director and show caller, Mark worked on the sports presentation teams for the Sydney and Beijing Olympics, the Melbourne Commonwealth Games and the Asian Games in Doha in 2006. He has also created stunning opening ceremonies for a variety of international congresses in Australia and throughout the Asia Pacific region. In addition, he has written and directed hundreds of hours of television commercials, training films and other media for clients around the world. Tony is currently General Manager Operations & Hospitality for Gloucester Park Harness Racing as well as a Director for Heart Inspired Events, a professional events company that currently runs events throughout WA. Heart Inspired Events currently manage 3 Farmers Markets, a Hawkers market, Inglewood Night Markets as well as various pop up markets. Tony has always been a positive, active businessman, unfailingly attending to client requirements whilst looking to develop and secure new business opportunities. He brings a set of skills universal to success in providing leadership, risk management and logistics to all facets of events: a natural ability to listen and appreciate someone’s requirements to offer practical solutions in a consultative business to business setting. Tony is a master at balancing the hard and the soft skills in life and business. What a privilege and pleasure it is to be a Judge for the Australian Event Awards. Ericc works with clients locally and internationally, re-energising them and setting new pathways. His experience spans conferences and exhibitions, sports events, festivals, tourism and cultural activities, with special knowhow in the global events arena. Ericc works with companies who are themselves engaged in events delivery and with event owners, organisers, host governments and sponsors. Getting traction, identifying new and emerging opportunities, finding project partners are examples of his work to improve clients’ performance and quality of their product and service. Ericc is recognised in Australia and internationally as a ‘go-to’ major events person and has a strong track-record of effective results. He has represented and worked with governments in the planning and implementation of international sporting events. Ericc has expertise that includes concept development, business planning, marketing, branding, managing risk; plus, in relation to mega-events, commercial management, coordination/integration and legacy development. Ericc has impressive local and international networks. His “Back on the Block” events business intelligence newsletter is widely known. He is a contributing writer to various journals, has been featured in newspapers and has spoken by invitation at international conferences and universities. Ericc’s company is New Millennium Business, based in Sydney.